Bhutan known as ‘druk yul’, the one and only Himalayan Kingdom of Bhutan a sovereign small country landlocked in Eastern Himalayas of South Asia. Bhutan remains as the last Buddhist Kingdom between Tibet / China to the north and India to the south, east and west. Towards west, separated from Nepal by Sikkim a state of India further south separated from Bangladesh by the Indian states of Assam and West Bengal. Thimphu is the capital and largest city of Bhutan probably the only city with no traffic lights regulates the flow of traffic by old ways whistling by the policeman. Bhutan famous and the only country where Vajrayana and Lamaism (Tibetan) sects of Buddhism is dominant, a country ruled by monarchy where the King is known as the Druk Gyalpo, meaning "Thunder Dragon King". For a small country it ranges from semi-tropical south to alpine Himalayan Mountains towards North of arctic cold zone with remorseless fields of ice and glaciers where Yak and Yeti dwells. Bhutan famous for its rich culture and tradition with medieval time villages, monasteries, forts / Dzong, historical and religious monuments with great festivals events, which is one of the travelers delights. Traveling in Bhutan controlled and restricted by the Government of Bhutan, visitors can enter only in group wise through proper Government registered travel agencies of Bhutan. World Trail Finders Adventure Treks have good-strong connection with our reliable Bhutan counterpart agents for your safe and secure travel with us. 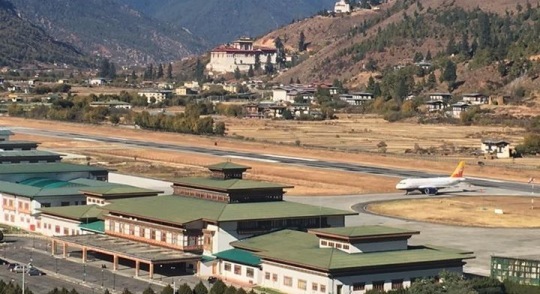 Bhutan Government allows foreign travelers to spend minimum of US$ 200 per day / per person to make the country sustainable form eco and friendly tourism by minimizing mass flow of tourist. All Bhutan trips involves both way flights from Kathmandu to Kathmandu. 01: Cultural Tour of Bhutan 05 Nights & 06 Days (Paro to Paro). Beside our various Bhutan Tour and Adventure trips, we also run “tailor made programs” for private groups of family-school / collage groups to corporate people on request, as well for other destination within Bhutan.